No.1: It adopts a special magnetic circuit design which has large air space and magnetism density. It is made of aluminum wire and the coil protection plate is made of the rolled high Mn steel plate that has good performance of wear-resistance and heat-proof. 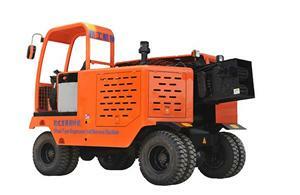 It also has the characteristics of light weight, low power consumption, high lifting capacity and long serving life. No.2: This series has fine insulation structure. The insulation treatments adopt the vacuum drying & glue filling, which has improved the electrical and mechanical performance of the coils.The insulation grade can reach class special C. No.3: It generally adopts the control mode of constant voltage. 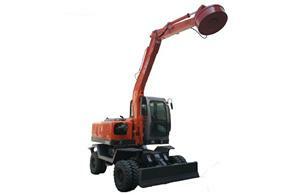 It can further improve the lifting capacity if changing to adopt the control mode of over excitation. No.4: With simple structure reliability, it is suitable for working with all kinds of lifting equipments. JG Excavator auger attachment / optional working device Or ground drill, garden auger, ice auger, earth drill, post hole drill and so on. Material: Steel Surface: Painting, color as order. Colour: Black or red(as request) We also can design and make it as customer's requirement. 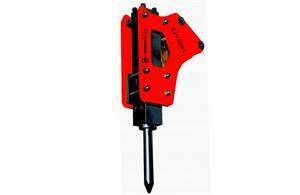 1.Low rate of chisel breakage 2.High working efficiency 3.Few components, less breakdown 4.Certificated by ISO9001,SGS,etc Korea Doosan SERIES hydraulic breakers are widely applied to rock broken, mining, road, building engineering, dismantling engineering and special engineering (underwater project, tunnel project), etc. 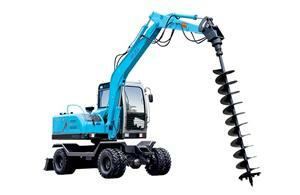 Our major products are side type, top type and silenced type breaker. 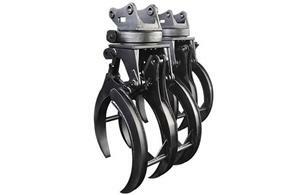 High Quality Catch Stone Grasping Wood Log Grapple Suitable For Excavator We can design and produce catch stone for various brands of excavators according to custormers’ requipment.the catch stone can be used on the excavators to catch stone easily and quickly,which has enlarged the use scope of the excavators and Improved efficiency . Standard bucket: specially used for digging soil Application: Apply to light poeration task, such as digging and loading hard soil or stones mixed with the soft soil. Product characteristics: Large bucket apacity, large stowing surface, so its has high coefficient of fullnes, Made of top quality structural and high strength steel, the adaptors are the demestic top quality products. so it can save work time and improve work efficiency. Heavy duty bucket: strong and durable Application: Its suitable for digging hard soil, soil mixed with soft stone, loading gravel, broken stone and so on Product characteristics: On the basis of standard bucket, we use high-strength wearable steel for high-stress and wearing parts. Adaptor is the domestic famous product. 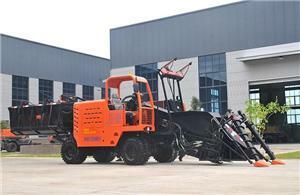 Inherit all advantages of standard bucket, it greatly improve strenth and wearability. Rock bucket:specially used for the mine, higher strength and longer service life Application: Digging earth with hard rock, sub-hard stone and weathered stone, it also can do heavy work, such as digging and loading solid rock, blasted ore. 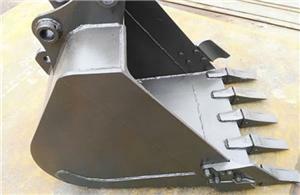 Product characteristics: The bottom of the excavator bucket is in double-arc design to increase clearance space at the heel and reducing abrasion. A gap adjustable sleeve device is used a t the connection with the bucket bracket. Made of domestic super high strength wearable steel, extending the duration by several times. The teeth and the adaptor are the domestic-famous product. 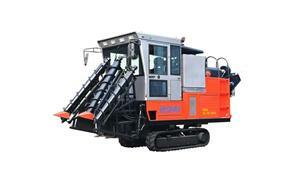 They maximize products’ reliability, excavation performance and economical efficiency. Greatly reduce the time and cost of maintenance, greatly improve the work efficiency and shorten the work time. Quick Change Bucket:Apply to the construction site which should be worked flexible. 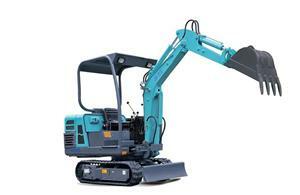 JG18L Mini excavator, it' s comapct design for small works,small projects, in garden, farmland, municipal works, vegetable greenhouse, digging trench . It is with small engine, simple design, easy to maintain.